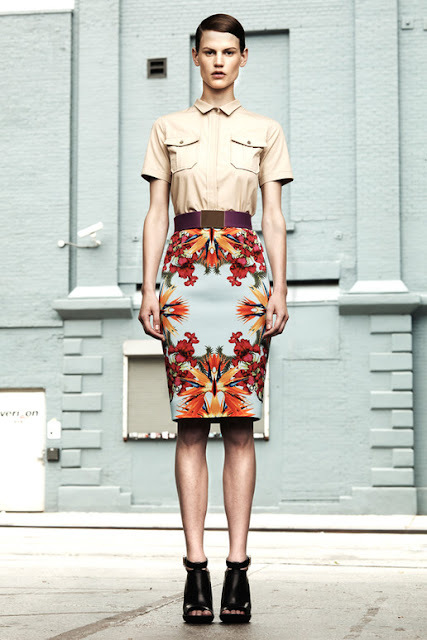 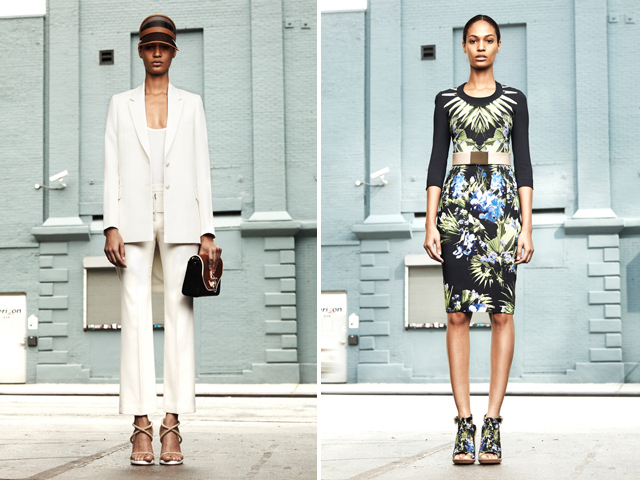 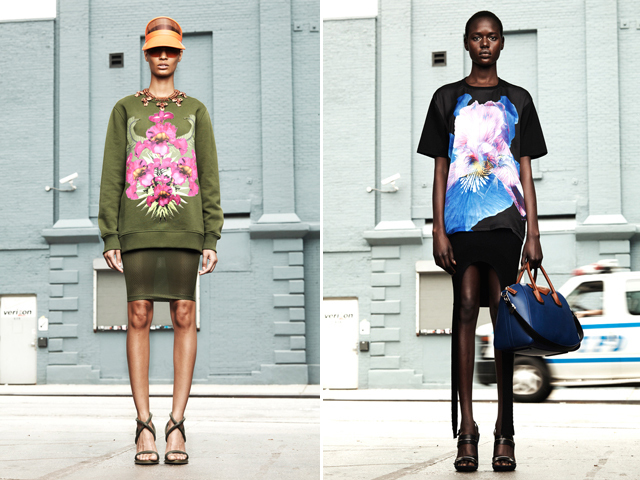 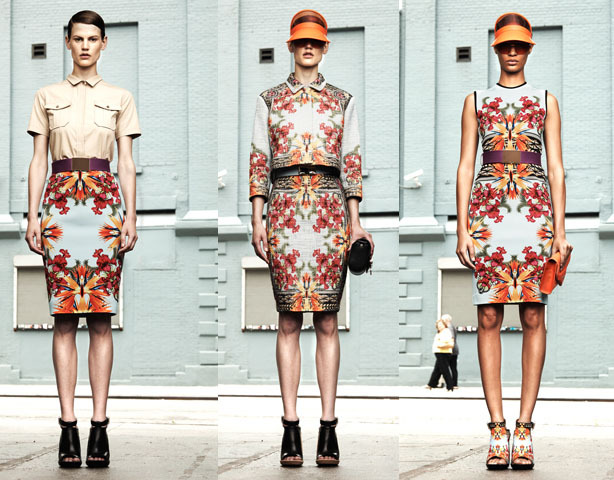 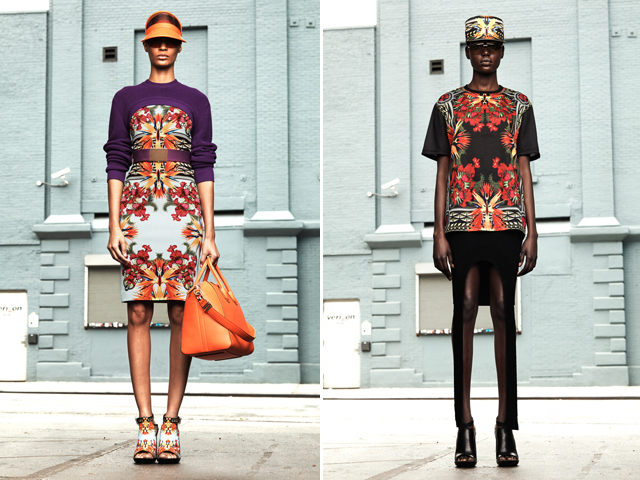 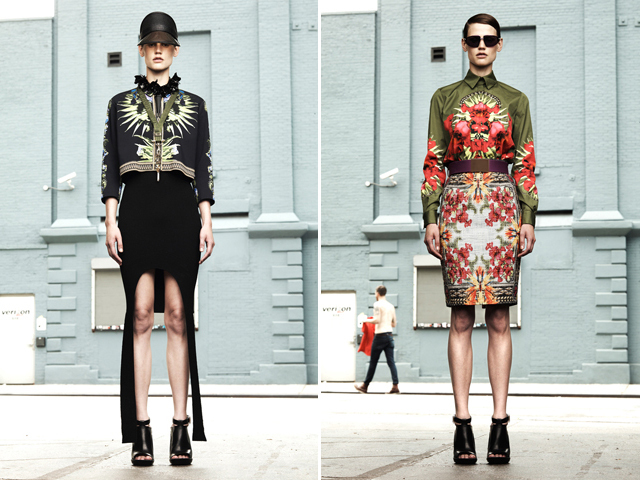 Givenchy designers and Riccardo Tisci keep on exploring their very own infatuating print world but at the same time they create a multitude of chic monochrome looks for the Pre-Spring Summer 2012 collection. 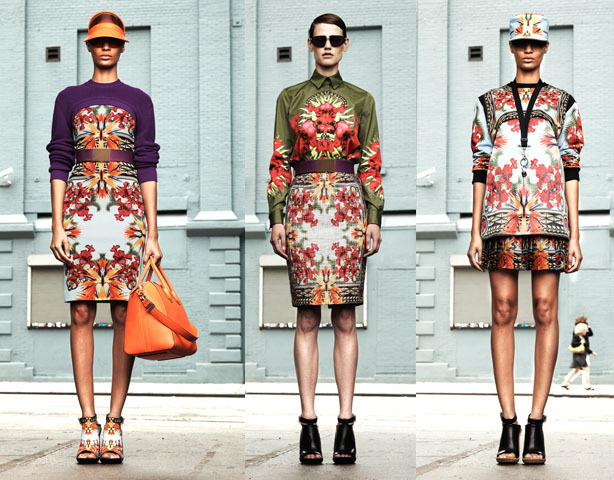 Digitally altered and mirrored Hawaiian prints make up Riccardo Tisci’s newest collection for Givenchy. 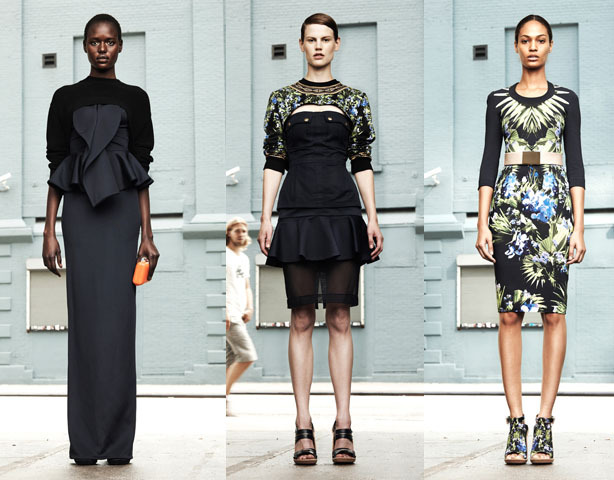 Now, this is what I call a resort collection! 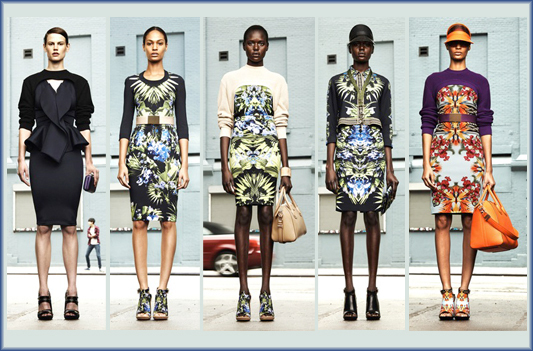 Each ensemble immediately transports me to a warm and tropical place, which I am craving thanks to the June gloom we're experiencing in LA right now. And isn’t purple and orange just the best color combination?